Hat’s off to you if you’re one of the millions of men who work on his feet all day. It’s not easy in most cases, and it requires plenty of endurance and patience. It also makes the overall health of your feet of utmost importance. That’s why it’s essential to wear the best shoes for standing all day, such as the Dansko Wyatt Loafer . 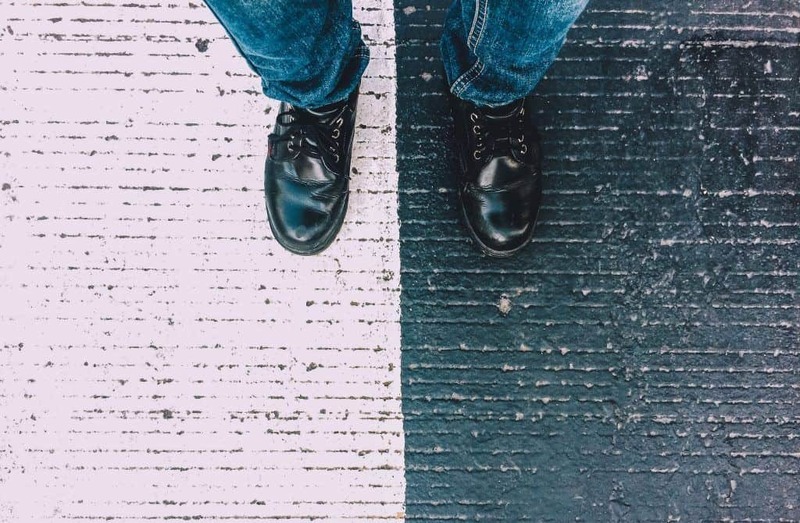 Choosing the right shoes for your occupation is vital, and we want to help with our shoe reviews, buying tips, and general tips for making life on your feet easier. Let’s start with things to look for when buying shoes for standing all day. There are several factors that you need to consider, including comfort – but not only comfort – when choosing shoes that must handle the rigors of standing all day. Shoes made of synthetic materials generally work better for grittier environments. Plus, they’re easy to clean; usually soap and water suffice. Leather is an excellent choice for men who work indoors. It’s a comfortable option that conforms to the foot nicely and provides good air circulation. Regarding comfort, many shoe manufacturers use synthetic materials that mimic the feel – and even look – of natural materials. And they’re often contoured and molded for a better overall fit. While one shoe may fit comfortably for another man, it doesn’t mean it will fit the same for you. There are a lot of reasons for that, including the shape of your foot, but also how your feet react when you walk. Some shoes are designed to improve the motion of your foot as you walk while enhancing overall comfort and stability. Your foot’s shape is also important: if you have flat feet you probably want to choose a shoe with higher arches, for instance. You’ll want a shoe with plenty of cushioning in the midsole if you spend most of the day on your feet. The forefoot and heel should have ample cushioning, as well. A shoe with a narrow, tight fit can feel like a medieval torture device the longer you stand. Make sure your shoes have enough “splay,” meaning they can roll naturally, including in the toe box. It’s crucial to give your toes enough wiggle room. Generally, your best option is an outsole that’s wide and flat, one that spreads the pressure of walking and standing evenly. Choose an outsole with full ground contact. Your shoes should always have good traction, including when you’re standing on the kinds of surfaces of an outdoor work environment, or one in which spills and wet floors (such as a hospital) are common. Slip-resistant soles tend to be softer and made of rubber that provides superior traction, even on slippery surfaces such as linoleum or hardwood. A lack of proper arch support can make standing all day seem like an endurance test, and can lead to foot issues, back pain, etc. A shoe with good arch support has specifically-designed mid- and insoles for proper shock absorption provides proper support for your fascia ligament, and offers motion control to correct over-pronation (the tendency of the foot to roll inward) and over-supination (the foot moves outward). Perhaps the most important thing to remember about a shoe’s arch is that it must absorb the impact of walking and the pressure you put on your feet when walking or standing for a long time. Look for an arch that has stretchy material which provides some give and is breathable. Leather and mesh are popular materials used in a shoe’s arch construction. Even the highest-quality shoe won’t do you any good if it doesn’t fit correctly. Have your feet sized by a professional, if possible, before you buy a pair of shoes, and always spend some time walking in them around the store before making your purchase. It’s also a good idea to try shoes on later in the late afternoon or early evening. A person’s feet naturally swell during the day; a perfect fit first thing in the morning may be too tight later in the day. Also, wear – or bring with you – the type of socks you normally wear during your workday. Breathability refers to the quality of a shoe’s ventilation, i.e., how effective is it in keeping your foot cool and dry. Mesh uppers earn high marks for breathability, while many shoes – workwear or otherwise – have microfibers that wick sweat and other moisture away from your feet. What color of shoe you choose is a matter of personal preference, but it also has to be one that’s work appropriate. Price isn’t always an indicator of quality. 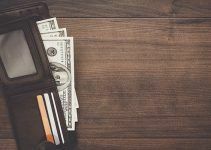 A shoe with a higher price isn’t necessarily a better shoe than all the rest, so you shouldn’t feel that you must break your budget to find a shoe that’s easy to stand in all day. Value matters most, and if you do spend a little bit more for a shoe made of quality materials that relieve the stress of standing all day, your feet will thank you for it. The Dansko brand is all about comfort and has been since the husband and wife team of Mandy Cabot and Peter Kjellerup started it in Denmark in 1990. From its humble beginnings in a tiny shop when its clogs were the only product, Dansko has risen to become a leader in comfortable footwear for men and women. It features a full-grain leather upper made with strobel construction, in which the shoe’s upper material is sewn to a fabric bottom to create a sock-like feel. It’s commonly used in the construction of athletic shoes and helps make the shoe light, comfortable, and very flexible. The Wyatt’s leather lining offers maximum durability and additional comfort. The removable insole offers triple-density EVA (Ethylene-Vinyl Acetate) support. EVA is similar to rubber and helps provide excellent cushioning in shoe construction. It’s also resistant to hardening and cracking and easy to recycle. The Wyatt Loafer’s polyurethane midsole acts as a shock absorber and reduces abrasions. It features a slip-resistant rubber outsole with a clog-style base (which is no surprise from Dansko) that helps keep you upright even if you work in an environment in which spills and other liquid hazards are common. It comes with an anti-microbial sock liner that absorbs moisture while keeping your foot cool and dry. It also helps to reduce foot odor. Last, but not least, the Wyatt Loafer has a classy look that makes it appropriate for a variety of work environments – casual or more formal. The Wyatt Loafer ranks among the most comfortable work shoes for a lot of reasons, not the least of which is overall comfort. You’ll like how your feet feel, even after several hours of standing. The Chranson Walking Shoe, as its name suggests, is an excellent walking shoe, but its effectiveness isn’t limited to only when you’re navigating the blacktop jungle. It’s also comfortable for any environment in which you’re on your feet all day, not the least of which is your workplace. The We Are Rockin (you gotta love the name) Chranson has a classic design loaded with comfortable features. The upper consists of suede and synthetic material that forms to your foot for an overall comfortable fit. The Chranson’s latex footbed offers plenty of cushioning that helps distribute the weight of your foot so that you’re not exerting too much pressure on any one part of it. The heel is thick but doesn’t give you too much lift and, and when combined with the forefoot flex notches provides superb arch support, which helps make it one of the best shoes for flat feet. It also features Rockport’s patented Adiprene system that decreases the weight of the sole while still maintaining the shoe’s structural integrity. As you’d expect from a shoe made for outdoor use – including for hiking – the Chranson has a slip-resistant sole that provides superior grip on every kind of terrain. Its overall support remains stable even as the terrain and incline change. We also like the Chranson’s interior mesh lining that wicks away moisture and helps keep your foot dry throughout the day. Rockport is the go-to brand for many men and has been for some time. Their We Are Rockin Chranson is comfortable and stable enough for all-day wear, including if you spend hours on your feet. Skechers features lifestyle and performance brands and when it comes to the former, they understand that men often need shoes that are as comfortable as, say, a running shoe, but with a work-appropriate design. That’s just one reason why we like Skechers’ The Search slip-on loafer: it combines all of the comforts you’d expect from the Skechers brand with a design that works in almost every casual dress work environment. It’s also comfortable enough to wear for most any occupation in which you spend most of your time on your feet, and we think it’s the best men’ shoes for standing all day on concrete. What makes it so good? It starts with a relaxed fit design that provides a spacious (but not too spacious) fit, as well as a Gel-infused memory foam insole that offers superior cushioning whether you spend a lot of time walking and standing during your workday. You’ll appreciate how roomy they feel when compared to many other work shoes. Its shock-absorbing supportive midsole gently cradles your foot, while the shoe also has a padded canvas upper with a fabric lining that’s soft and pliable. Made from 100% leather, the Search Slip-on is easy to get on and off and comes with a pull-off tab at the tongue, while its elastic goring helps provide plenty of flexibility as you walk. Your color choices are black, brown, and dark brown. The Skechers Search slip-on offers everything you need if you spend a lot of time on your feet. It’s also stylish enough to wear in most work settings. Clarks has a long-standing, superb reputation for manufacturing the finest in men’s dress shoes, but the Escalade doesn’t make our list simply because it looks good. It also feels good and prevents the agony of the feet if you spend most of your day on them. Make no mistake, however, the Escalade’s style and design are decidedly work-friendly, and among the dressier shoes on our list. They come in a slip-on design for convenience and feature a non-marking outsole that provides plenty of stability and traction. The leather upper is easy to care for and formed into a classic loafer shape, which makes it appropriate for wearing in most work settings. The footbed is comfortable and features a flexible sole, while the heel has a fit that’s snug and prevents slipping, but not too snug that your heel moves around in the shoe – which can cause blisters. The Escalade’s textile lining provides additional comfort, support, and breathability. Not that any of this shoe’s attributes come as a surprise. Clarks’ history goes back more than a century and its reputation built on superior craftsmanship and design of a wide range of shoe designs and styles. The Escalade is another in Clarks’ long line of quality shoes and we think it’s excellent for men who spend a lot of time on their feet. It’s also appropriate for most work settings. Walking and standing all day can force your feet to work hard and also make them sweat. Keeping your feet dry all day is a key to keeping them comfortable, which is one very good season we like Dunham’s Windsor Waterproof Oxford. The Windsor Oxford’s construction includes seam-sealed waterproof leather which repels moisture and helps keep your feet dry and comfortable. The shoe also includes lining that wicks away sweat during a long, hot day on your feet. You’ll also like this shoe’s arch support thanks to a fiberglass stability shank embedded into the midsole. It also helps wearers maintain a smoother, more natural gait, while its slip-resistant rubber sole also offers comfort and stability for standing on your feet all day. Dunham touts this shoe as being an ideal option for men who have feet that seem to defy a good fit. It’s available in extended sizes, so finding the right size for you shouldn’t be a problem. The Windsor Oxford also has a lace-up style that helps you adjust the snugness of the fit. The Oxford design is stylish and appropriate for a variety of work settings and is available in black, brown, and polished leather. Comfort is king and the Dunham Windsor Oxford offers the kind of comfort you need when you stand for long hours at a time. You’ll also have good luck in finding the right fit for your feet. Many customers around the world sing the praises of Mephisto shoes for a lot of reasons, not the least of which is that the French company manufactures shoes that appeal to all ages. Their shoes not only look good and serve a wide audience, but they’re also built for comfort and durability. If you spend most of the day on your feet, then you should consider Mephisto’s line of shoes – not the least of which is its Men’s Cap Vert Slip-On. The Cap Vert Slip-On has many features we love, including a Soft-Air midsole that absorbs the shock of walking (and standing for many hours) while reducing pain in the feet, back, and joint. But part of Mephisto’s mission includes making shoes that don’t sacrifice style in the quest for overall comfort. While creating comfortable shoes is how they roll, they also make shoes – like the Cap Vert Slip-On – that look and feel good. The Cap Vert has an attractive penny loafer design that’s appropriate for a variety of settings, including work. They also have a laid-back feel and look that also pairs well with jeans. All in all, it’s a versatile shoe that’s comfortable enough to wear for an extended amount of time. It comes in the classic tan color, but you can also buy them with a Cordovan shade or black leather. Either way, you’ll like the way you look. There’s plenty else to like about the Cap Vert Slip-On, including its 100% leather, waterproof upper. It’s natural rubber outsoles offer stability and traction, while its insole contributes additional shock absorbency. If you’re a fan of the penny loafer design but need a show that can handle the rigors of a long day on your feet, then you should consider Mephisto’s Cap Vert Slip-On. Standing all day, no matter what your occupation, can take its toll on your feet. But it can also take a toll on other parts of your body, including your knees. 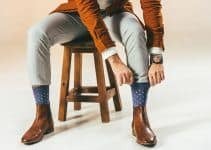 Men who suffer from pain and other knee issues can really struggle when standing for an extended period, which is why it’s essential for them to choose their footwear carefully. 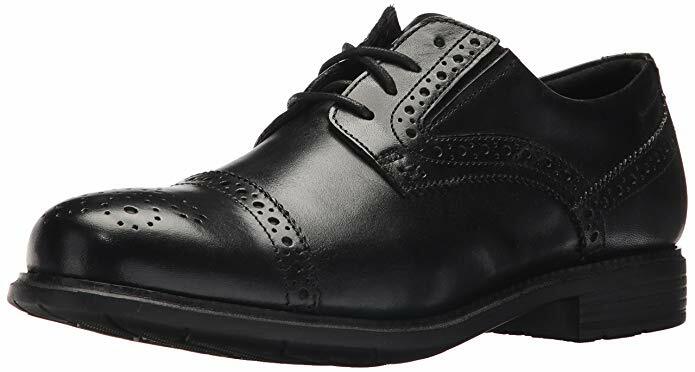 The Rockport Men’s Total Motion Dress Cap Oxford has plenty of features that make it an ideal shoe for knee-pain sufferers, and has a dressy-casual look that fits a variety of occupations and job titles. Among the shoe’s many features are a removable EVA footbed and EVA outsole with rubber pods strategically placed in areas in which the sole directly impacts with the walking surface. The footbed is removable. The shoe consists of 100% leather (the outsole is synthetic) and has a padded collar and tongue for additional comfort. We think the Total Motion Oxfords are the best shoes for standing all day for men with bad knees. What should you look for when buying shoes to help you deal with knee pain? A lot of it depends on your occupation and how you plan to use the shoes. In many workplaces, business-casual is the expected style and a pair of running shoes probably won’t cut it. It also depends, of course, on how much time you spend on your feet. Another way to look at it is to ask what types of shoes you should avoid if you have knee pain. Barefoot, minimalist shoes, that feel like gloves for your feet and come in many styles, may not do your knees any favors. Shoes with higher heels are hard on the knees, as are clogs because they place extra pressure on them. And some shoes offer too much of a good thing, i.e., their arch support is so excessive that it messes with the natural movement of your foot which, in turn, can put additional pressure on the knees. The Rockport Total Motion Oxford has the kind of support that makes life easier for men who have knee problems and who experience knee pain. With their padded collar, they also reduce irritation around the ankle. They’re not just for men who suffer from knee pain, but for every man who spends most of his day on his feet. Rockport’s Total Motion Oxford is all about comfort and style; it’s not necessary to sacrifice one for the other. They’re also ideal for men who experience knee discomfort. The folks at the Denmark-based footwear company Ecco say they go a step beyond – pun intended – conventional shoes thanks to their Freedom Fit feature. Freedom Fit, they say, offers a roomier toe box and fit more narrowly from heel to instep. When your toes spread naturally to support your weight as you stand and walk, the theory is that you’ll have a more comfortable experience. Anyone who has spent a day in shoes that pinch their toes excessively will see, and feel, the difference. Freedom Fit aside, Ecco’s Fusion Slip-On loafer has plenty of other quality features that make it ideal for men who spend all day on their feet. For one, the shoe feature a polyurethane outsole – instead of rubber – that’s durable enough to outlast other materials. The sole is flexible and shock-absorbing. You’ll also appreciate how the Fusion Slip-On feels comfortable right out of the box. There’s little, if no, break-in period, while the polyurethane retains its “memory” longer to give it a consistent fit day after day. The Fusion’s inlay sole includes a vegetable-tanned leather surface with a soft layer of moisture-absorbent foam underneath. The foam is treated with AGION antimicrobial and works to control the spread of bacteria and foot odor. The foam helps to push air through tiny holes in the shoe’s lining to create a nice flow of air circulation around the foot. Ecco is an innovator in other ways, as well: it’s one of the few shoe manufacturers with its own tanneries, and it utilizes a specialized process called Direct Inject Production (DIP) that helps them craft their shoes’ soles with precision. The leather upper offers a snug fit, but you can put the shoe on and take it off without hassle. The outsole, besides being durable, also offers excellent traction and stability on a variety of surfaces. If you haven’t heard of Ecco, it’s worth taking a serious look at their shoes. Comfortable, durable, and odor-fighting, their Fusion Slip-On is a shoe made for men who spend long hours on their feet. Men work in an endless array of occupations and work environments but Hush Puppies has them covered, including with their ultra-comfortable Leverage Slip-On. The latter is a shoe that’s both stylish and durable enough to suit many kinds of workplaces, including those that can get messy, because they’re made from waterproof leather and also feature waterproof seams. Its lining also keeps your foot dry while the shoe’s interior, as a whole, is thickly-padded and comfortable. The Leverage Slip-On’s contoured EVA footbed adds further cushioning and provides impact absorption, while its gel heel adds further support as you go about your day. It also has a padded instep and a collar that cushions the ankle while protecting against abrasive rubbing. Hush Puppies didn’t become a major footwear brand by making bad footwear. Their shoes are known for comfort and their men’s Leverage Slip-On makes it easy for standing all day. Timberland’s reputation was built, in large part, on its quality outdoor footwear, including its iconic boots. But it’s more than just a company that caters to the rugged outdoorsman. The Timberland Men’s Icon Three-Eye Classic Shoe is evidence of that, because it’s a casual shoe that combines Timberland’s traditional aesthetic with a design that’s ideal for most workplaces. More importantly, it’s a great shoe for any man who spends a lot of his time on his feet. There are plenty of features that we like about the Three-Eye Classic Shoe, as well as reasons for including it on our list. It has a premium leather upper that’s durable and comfortable – one which is handsewn and stitched to the midsole and cemented to the outsole. It has a leather lining and footbed, as well as a full-length EVA insert. Comfort also comes from an extra layer of Poron foam under the forefoot for extra cushioning. The rubber lug outsole – which looks rugged – is stable, slip-resistant, and durable. This shoe also has Timberland’s superb 360-degree lacing system that provides a custom fit. All you need to do is to thread the laces through rivets on all sides and tie in the front leather lining and footbed for a premium feel that fits your feet. Customers have come to expect high quality footwear from Timberland, including footwear that’s not just for outdoorsmen. Their Men’s Icon Three-Eye Classic Shoe is great for casual and business casual wear, and holds up well to the stress of standing all day. Skechers earns another spot on our list of best men’s shoes for standing all days with its Cottonwood Elks Slip-Resistant shoe. Skechers has a strong reputation for combining style with comfort, and the Cottonwood Elks Slip-On is no exception. There’s simply a lot to like about the Cottonwood Elks shoe. It’s a lace-up work shoe that features Skechers’ patented Relaxed Fit design. The latter makes for a roomier, more comfortable fit, and also includes memory foam cushioning that adapts to your stride. Further comfort comes from a padded collar and tongue, as well as from a soft fabric lining that’s breathable and keeps your foot cool, dry, and comfortable. The leather consists of smooth Nappa leather, which is known for its softness. You’ll also love the Cottonwood Elks shoe if you work in an environment that can get messy from oil, water, and chemical spills, thanks to its slip-resistant nitrile rubber outsole that offers excellent traction. Additional support comes from a shock-absorbing midsole. Finally, the lace-up design features metal eyelets for added durability. All in all, you’ll get a lot of use from these shoes before it’s time to replace them. Skechers is another brand with several great products from which to choose. The Cottonwood Elks is one of those products, and excellent for a variety of work environments. Standing for a long time can not only become uncomfortable, but can also lead to health problems, and not just with your feet. Your lower back, your legs – all can feel the stress, strain of the cumulative hours spent standing. The good news is that there are things you can do lessen the strain and, hopefully, prevent future health issues. Not surprisingly, it all starts with the right shoes. The importance of wearing shoes that fit correctly can’t be overemphasized enough. But many people wear shoes that are too small, which increases the chance of blisters, cuts off circulation to the feet, and can make standing an unbearable test of willpower. Do yourself a huge favor and get your feet sized by someone who knows shoes. Finding the right fit online is often tricky, so read the reviews of wearers carefully. For some people, buying shoes a half-size too big is OK because it leaves room for arch support and orthotics that may add the final dose of comfort that you need. 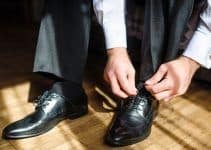 Flat-soled shoes may look great and seem like a good choice for work shoes, but they won’t do you any favors if you spend most of your workday on your feet. Make your life easier with shoes that offer good arch support and include a heel with an elevation of at least ¼ inch. If your shoes don’t have sufficient arch support, you can always purchase arch support insoles. Poor posture packs a punch, but not in a good way. It can lead to injury and pain in your feet, heels, back, and even mess with your breathing and digestion. Poor posture can cause you to tilt further forward or backward rather than leaning slightly forward, which is its natural tilt. The unnatural “lean” places additional strain on your feet and heels, and can aggravate plantar fasciitis – which isn’t ideal for anyone who suffers from it. One way to improve your posture is to improve the overall alignment of your feet; another is to correct your gait so that it becomes more natural. Custom insoles can help distribute your weight evenly across the entire foot, while reducing ankle rotation. If you have to stand for a long time, shift your weight from your toes to your heels, or one foot to the other. By stretching we don’t mean performing a full yoga routine during your workday, but taking the occasional break to relax and lengthen tightened muscles. You’ll release some of the strain of excessive standing while making it easier to get through a full day without discomfort. Icing your feet for 20 minutes is a great way to combat the swelling and inflammation caused by prolonged standing. Don’t ice your feet if you have vascular problems, however. Take off your shoes and socks to let your feet breathe for a bit and then massage them with your hands to loosen the muscles and joints. Elevating your feet is also effective, especially for reducing the swelling that’s inevitable from long hours spent standing. Place them on a stack of pillows and relax with a good book or your favorite music. One of the biggest reasons people love certain shoes is comfort. They’ve found a shoe that’s so comfortable it almost feels like they’re wearing no shoes at all – and that somehow seem to get cozier the longer they wear them. Comfort is a key consideration for any of our shoe reviews, not the least of which are reviews of shoes that must hold up to the rigors of standing all day. There are other considerations, however, including the quality of the shoe’s outsole (it must provide traction, stability, and be slip-resistant), its breathability, and its design. In short, you need a shoe that looks good and is appropriate for a variety of work environments, while providing the support and comfort you absolutely must have. Do you stand on your feet all day? If so, what brand of shoes do you wear? Why do you like them? Have you worn any of the shoes on our list? We always welcome your comments and suggestions. 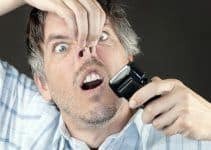 Best Natural Deodorants for Men That Actually Work!